This Vegan Chicken Cranberry Salad salad was borne out of necessity. Invites to holiday parties where I needed a guarantee there’d be something for a vegan to eat! I learned early on to make a huge batch, because this one goes fast. Everyone likes it. Everyone. 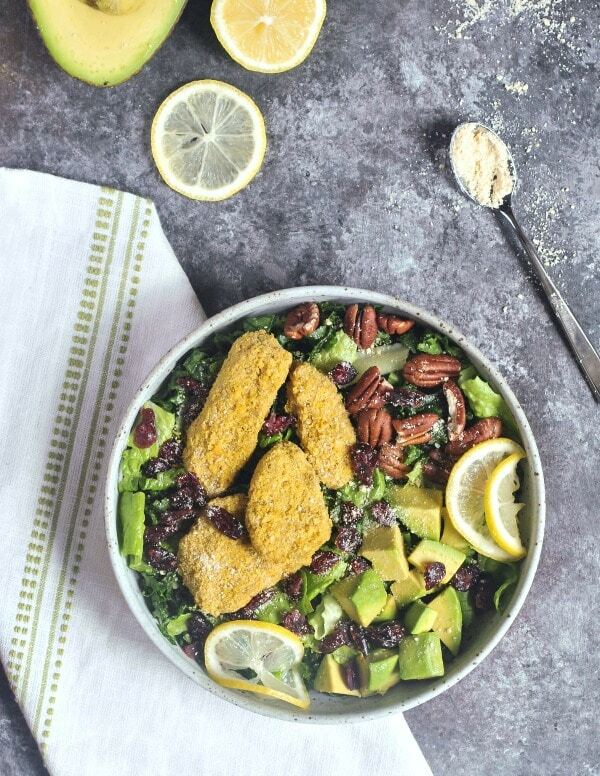 The warm Vegan Chicken Nuggets topping this salad are not only chicken free, they are soy free and gluten free as well. Sometimes a rare thing, as you may know – it is often difficult to find a soy free meat alternative, or a gluten free one. 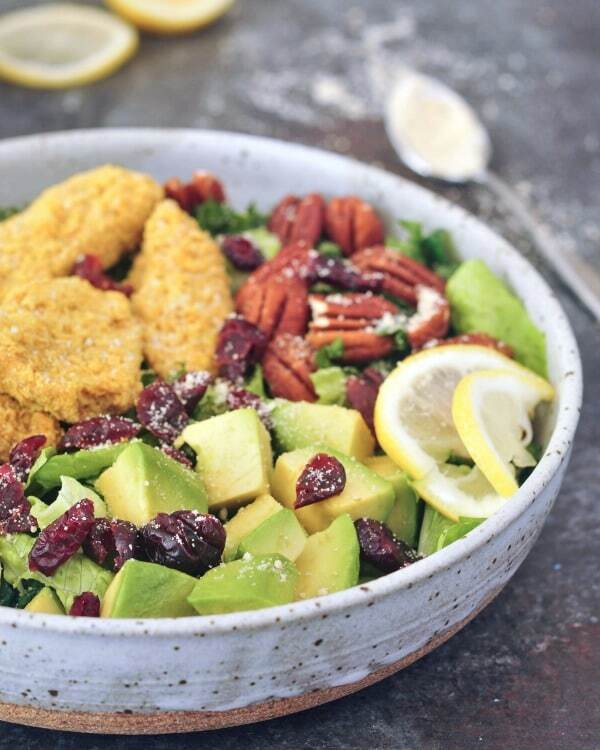 Much like our Vegan Buffalo Wing Salad, this Vegan Chicken Cranberry Salad has received rave reviews. The cranberries and pecans bring autumn flavors that pair well with cool creamy avocado and the bright lemon. This really does make a great holiday side or potluck offering. We love it for a simple weeknight dinner. 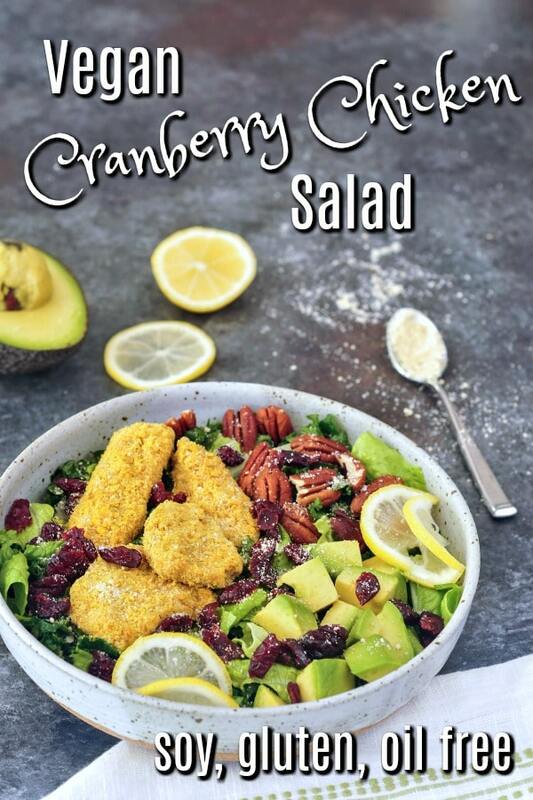 this Vegan Chicken Cranberry Salad makes a great entree salad. increase portions and make a large salad for a potluck or party. Heat or re heat Vegan Chicken Nuggets in oven or air fryer, according to recipe instructions. 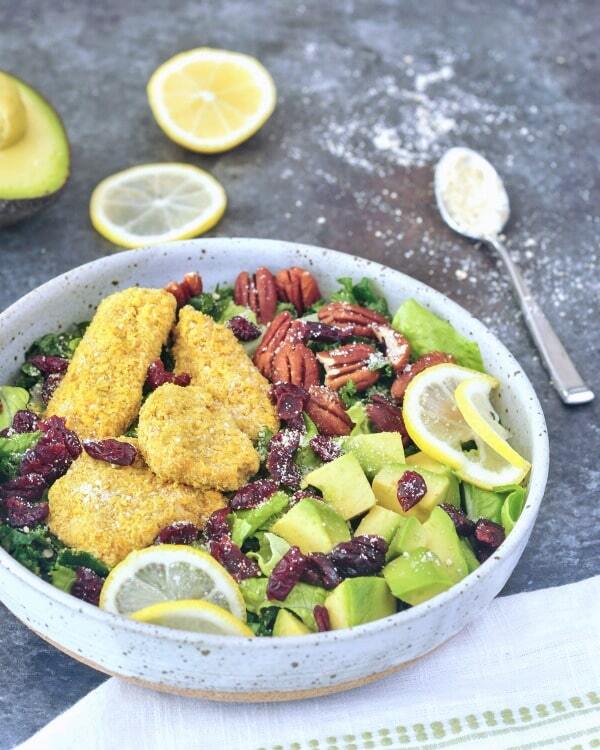 Add greens to serving bowls. Drizzle dressing over greens and toss to coat. Arrange kale and romaine into serving bowls. Drizzle dressing over greens and toss to coat. Add avocado cubes, cranberries, and pecans. 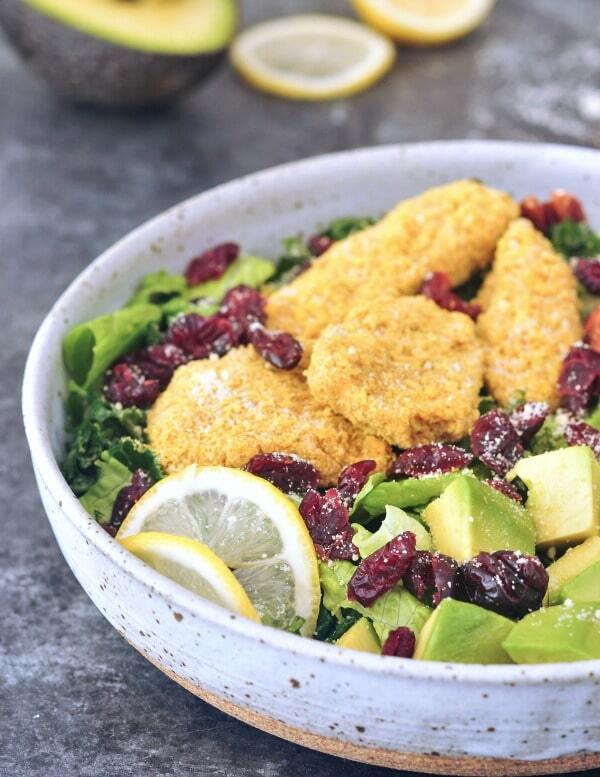 Top salads with warm chicken nuggets. Squeeze lemon over top. All of these flavors sound so good together and I’m always looking for more recipes with kale cant wait to try it!